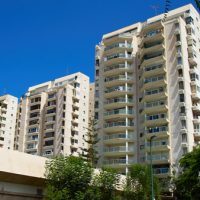 What are Apartment or Multifamily Loans? These loans are used to buy or refinance multifamily residences. These places may be apartment buildings, condominiums, duplexes, triplexes or quadruplexes. These are processed on the conventional mortgage receivables for (2-4 units). But if you are going in for a complex with more than 5 units then it will require an underwriting and will be treated like a commercial loan. The loan terms may vary from 7 – 30 years at the rate of 2.78 – 5.11% and is amortized over 30 years. These loans are given by agencies Housing and Urban Development (HUD) like the Federal Housing Administration and banks. These loans can be renewed and refinanced though the interest rates will be adjusted and fees may be involved. The loan amount may vary from 1 – 2 million dollars for more. The LTVs would top out at 70 – 75%. This means that you would have to pay 25 – 30% as down payment. There are several types of programs run by the Housing and Urban Development (HUD), yet here are two based on the number of units. For 1 – 4 units – The standalone homes, condominiums, 2-plexes, 3-plexes or 4-plexes are classified as 1 – 4 unit properties. The loan for these properties is given like the ones for a detached house. For plus-5 units – While the properties with 5 or more dwellings are called an apartment or multifamily complex. These loans require a different underwriting and higher qualification. Your experience – The lender considers the borrower’s experience with rental properties. This is called qualitative information that the informs the lender of how and if you have managed rental properties. You should have collected rents, managed the properties and handled the project of this size. Your credit score with your income and tax returns (personal and business) will be considered. Besides the two years’ operating statements along with the current rent roll for the estate. Net operating income = the annual income – expenses the property generates from the complete operation. Debt service coverage that measures the cash flow in relation to the debt payment obligation. Loan to value (LTV) ratio is the measure of the loan amount in relation to the value of the property. The idea behind studying these metrics is that the property should service its debt with a good margin. Flexibility – There are banks that offer flexibility if you can make a down payment of 30% and your credit score is good. This means of these two areas are good they work around the other weaknesses in your case. Type of property – if it is a mixed-use property then it may be classified as residential or commercial. Depending on the proportion of the two types of the property. Usually, there are a few stores under the apartments. But if the proportion is 50:50 or more than the loan for the property is treated more like a commercial loan with a more conservative structure. Occupancy – If the property is vacant or partially occupied then it receives a short-term loan at a variable rate. This loan is given with an exception that the property stabilizes after it is fully occupied. If the rents do not support the debt the then the borrower’s cash flow is taken into consideration to pay off the loan. Please read our next article on industrial loans in Arizona.